As a wake-me-up, nothing beats a hot cup of coffee in the morning. During the day, however, hot coffee may not be the most appropriate drink. Fortunately, you don’t need to head to the nearest Starbucks or coffee shop to enjoy cold brewed coffee. 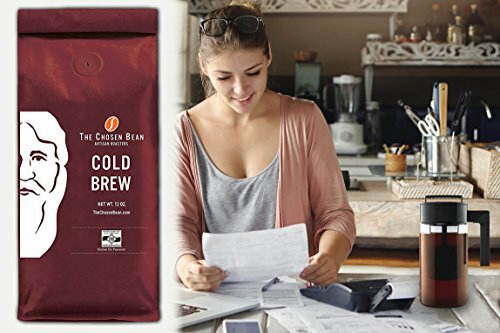 Simply buy a pack online so you can cold brew a cup at the comfort of your home or office. The question is what are the best cold brew coffee beans available online? For most people, coffee is coffee. As long as it’s coffee, it doesn’t matter what the brand or type is. It can be instant, and it will still be the best drink in the morning. However, for the true coffee enthusiasts, coffee does not have general flavor. For them, there will always be a perfect blend. Real coffee needs to be brewed, which means buying the coffee ground, or unground if you have a coffee bean grinder. It also means checking to see if the beans are light, medium, or dark roast. The color of the coffee means everything when it comes to flavor. In the past, being particular with the type and brand of coffee you bought, meant that you were usually limited to what was available in your area. With the advent of the internet, you can get the best coffee delivered right to your doorstep. 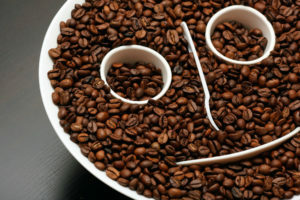 To help you decide, here are the three best cold brew coffee beans available online that we believe are among the best. We’ve included a brief description of each brand, the pros and cons, and our top choice among the three. True coffee lovers know that their every sip could actually be contributing to the destruction of the environment as thousands of acres of land are stripped of natural fauna to establish coffee tree plantations. To combat the widespread destruction of the environment, Tiny Footprint Coffee in collaboration with Roastery 7, a well-known artisan coffee roastery, and the Mindo Cloudforest Foundation, a non-profit organization in Ecuador, established a redevelopment program of the Mindo Cloudforest. With this program, coffee enthusiasts can take comfort that every time they sip a cup of Tiny Footprint coffee, a new tree is being planted to redevelop forests that were once negatively affected by coffee plantations. One of the popular products of Tiny Footprint Coffee is the Cold Press Elixir, which is a perfect combination of light and dark roast. As such, it is one of our choices for the best cold brewed coffee beans available online. 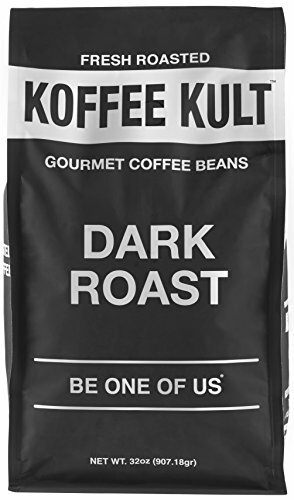 Koffee Kult Corporation, a premium coffee roaster based in Hollywood, South Florida, produces some of the best cold brewed coffee beans available on the internet. Koffee Kult Dark Roast is one of the company’s more popular products. The Chosen Bean is a relatively new roaster based in Florida, but they produce high-quality roasts loved by many coffee aficionados. The company’s coffee beans are imported from carefully chosen coffee plantations in Ethiopia and Guatemala that produce 100% Arabica coffee beans. Choosing the best cold brew coffee beans available online is a difficult task as each person has a unique sense of taste. Therefore, other factors must also be considered asides from the quality of the coffee. Nevertheless, each of the coffee brands described above is high-quality cold brew coffee beans, which is why they were chosen for this list. Perhaps the single most determining factor in choosing the best cold brewed coffee beans is the company itself. We believe that a coffee roaster or producer must not only be dedicated to the quality of its products, but also in the way the coffee beans are produced. The company must be careful in its choice of coffee farms so as not to contribute to the destruction of the environment. 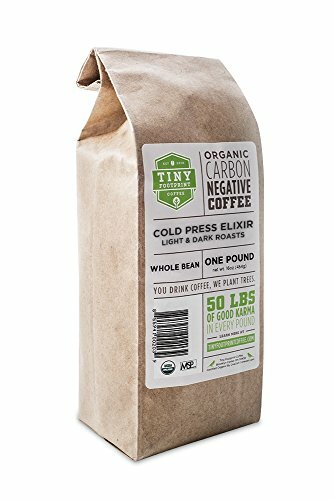 Therefore, since all the brands are of near equal quality in terms of cold brew blends, the particular brand that stands out most is Tiny Footprint Organic Cold Press Elixir. Not only is the coffee a high-quality cold brew blend, but the company is clearly dedicated to the protection of the environment. Tiny Footprint’s commitment to their reforestation cause makes them a top choice. Coffee lovers all over the world will be pleased to know that their choice of high-quality cold brewed coffee beans were produced by a company that is committed to making the world a better place. Therefore, with each sip of a cold brew, you know that you are also contributing to the protection of the environment.